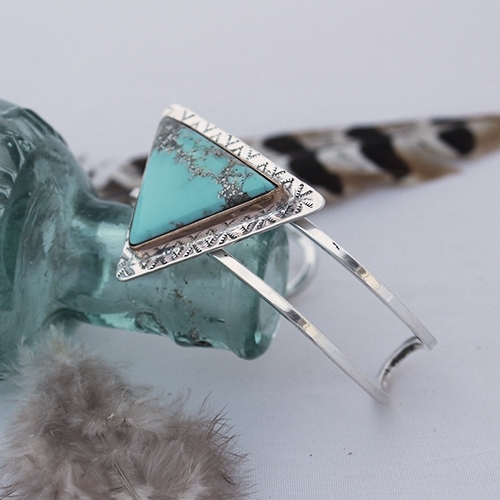 This triangle turquoise is wrapped with a 14k yellow gold bezel on top of a sterling silver cuff. 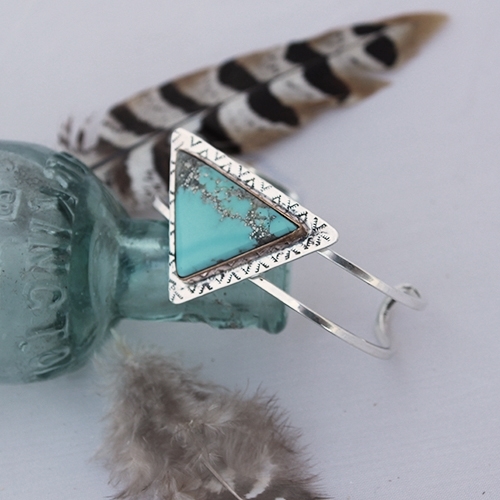 It is adorned with southwestern stamping around the stone. The cuff is 1/2" wide. The isosceles triangle stone measures 1" x 1" x 1 5/16"